Visit the beautiful gothic town hall, every day at 3 pm. 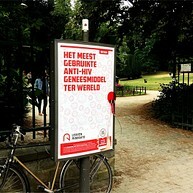 Discover 12 ground-breaking Leuven inventions on 12 panels throughout the city. Every panel interactively explains the story behind a Leuven invention. Part of the text only appears when the user looks through a red looking glass on the panel. 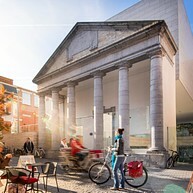 Admire the unique architecture of M-Museum Leuven, designed by leading architect Stéphane Beel. Get a splendid view of Leuven and surroundings at the balcony of the tower of the university library. 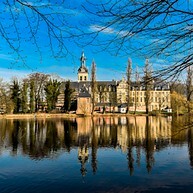 Imagine yourself in the middle ages in the Great Beguinage, recognized as World Heritage by UNESCO. 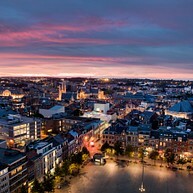 Have a night out with the students on Thursday evening at the Oude Markt. 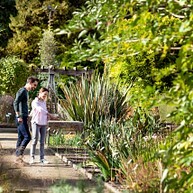 Enjoy a pick-nick in the beautiful botanical garden. 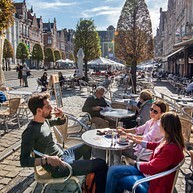 Discover the hightlights of Leuven with student Axel with the Leuven Walk App. 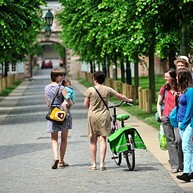 Rent a bike and discover Leuven and surroundings.